If you are a military veteran, you may have been receiving solicitations to refinance your VA loan. After all, interest rates have been falling lately. But the Consumer Financial Protection Bureau (CFPB) reports its complaint volume about VA loans and other financial products has steadily risen between 2011 and 2014. Jim Nutter, Jr., President and CEO of James B. Nutter & Company, a Kansas City-based mortgage lender, cautions veterans to carefully scrutinize any refinancing offers. “Last year, a record number of America's veterans took advantage of the VA loan program and either purchased a new home or refinanced," Nutter said. While that may be a positive development, Nutter says a “significant” number of lenders are targeting veterans with refinance offers that carry high interest rates and closing costs. “It's absolutely reprehensible, but unfortunately we're seeing more and more of this activity," Nutter said. A VA loan is a mortgage that is guaranteed by the United States Department of Veterans Affairs (VA). Much like an FHA loan, it can be issued by qualified lenders. The idea behind the VA loan is to provide a financial benefit to military veterans, making it easier for them to purchase homes. Because the government is guaranteeing a large portion of the loan, lenders usually offer the borrower an attractive interest rate. But Nutter says there have been recent cases where just the opposite was true. "To give you just one example, our company recently reviewed a loan estimate for one veteran in which they were not only being charged excessive discount points for a VA streamline refinance, but the interest rate they were getting was a full 1% higher than the prevailing market rate,” Nutter said. 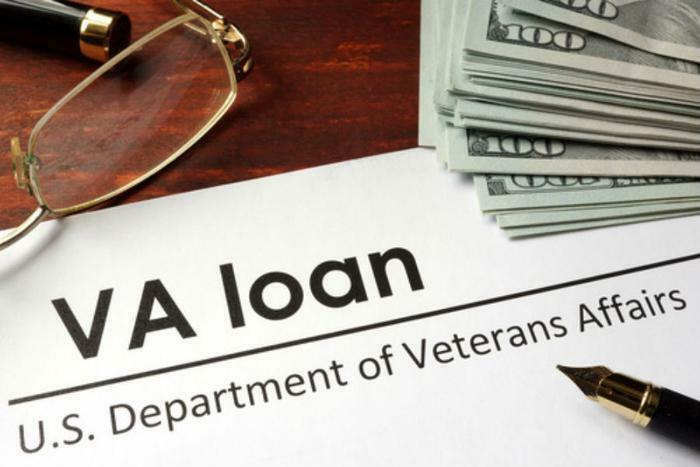 Veterans refinancing VA mortgages to get a lower interest rate should know that no appraisal or credit underwriting package is required when applying for what's known as an interest rate reduction loan (IRRRL). The VA says an IRRRL may be done with "no money out of pocket" by including all costs in the new loan. But the VA says there are cases where a refinanced VA loan will result in a higher interest rate. That can happen when the lender agrees to pay all or some of the buyer's closing costs or when an existing VA adjustable rate mortgage is refinanced at a fixed rate. Like shopping for any mortgage, veterans considering a VA mortgage refinance should seek proposals from more than one lender.